What is at a Wetland? How does a Wetland function? Every learner is provided with a work sheet and any writing material they may need. 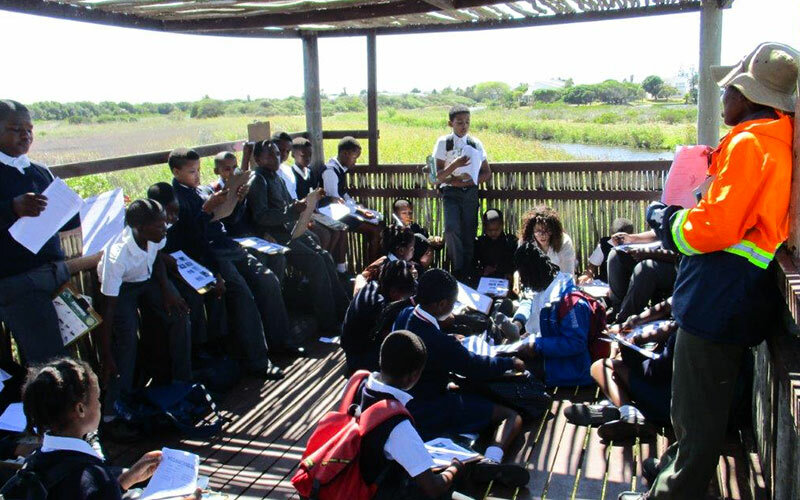 The lesson also includes an activity – the learners are divided into smaller groups and each group has to build a wetland and report back to the educators. Mark Arendse, the coordinator of the programme and in charge of Environmental Education says “I would not be able to run the programme alone and am assisted by the staff and interns and F Q level 2 students”. With the remainder of Lotto funding of some years ago, Zandvlei Trust has been able to continue paying the transport by bus of these learners from their schools to the Reserve and back. 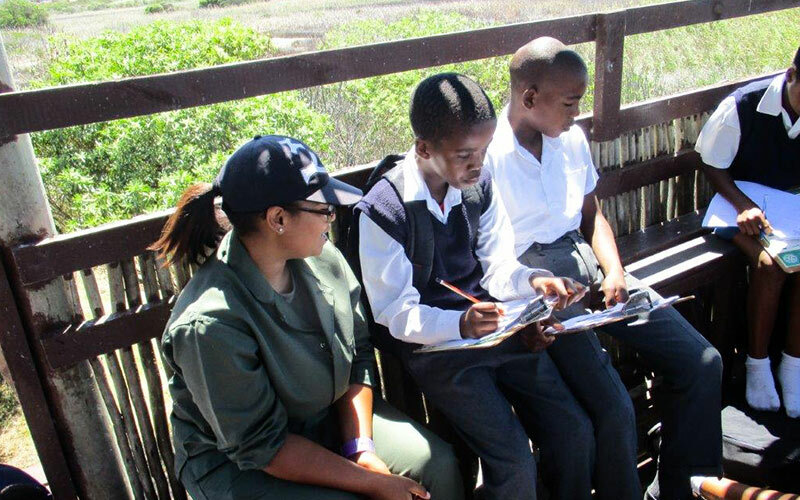 In 2018 twelve groups from the following local primary schools – St Mary’s, Levana, Harmony, Christian David Moravian, Zerilda Park, Capricorn, Prince George and Lourrier (some schools bringing groups over two days) with a total of over 600 learners came to the Reserve and had the benefit from this exciting project where they learnt about the importance of urban wetlands. Wetlands act as giant sponges that absorb flood waters. Rivers, ponds, lakes and marshes soak up and store heavy rainfall. In coastal cities, salt marshes and mangroves work as a buffer against storm surges. Many types of fish spawn and breed in wetlands, making them popular fishing grounds. Wetlands provide reeds and grasses for weaving, medicinal plants and fruits; all valuable goods for local residents. Wetlands also attract tourism, another important source of employment.